By Connie Diamond. Nov 28, 2015. 9:00 AM. In an interview with the Paris Review, Arthur Miller spoke of his admiration for the Greek tragedies when he was young. He had had little classical background at the time, but as to their form he said, “the architecture was clear.” A quick glance at the dictionary reveals the definition of architecture is "the complex or carefully designed structure of something." Interestingly, on the day of his interview, the playwright had greeted the visiting journalist* from a ladder in an old barn that he was converting into a guesthouse. The conversation eventually moved to a one room study at a desk that Miller himself had built. In dramatic fashion, Miller seemed to be demonstrating his affinity for sound structure created by using the tools of one’s trade. When he applied this principle to his writing, the result was the creation of award winning literature across several genres. 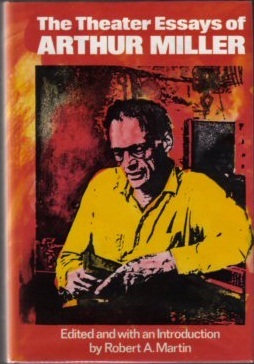 Among Arthur Miller’s works of nonfiction is the autobiography of the man himself. 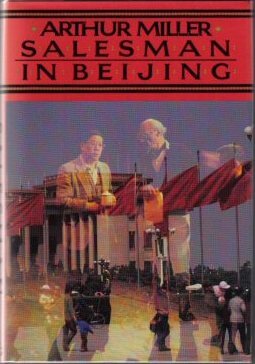 Titled Timebends, the author tells about his writing career, his life, and the many interesting and famous people who played a role in it. Miller was also an essayist. The collection The Theater Essays and its companion Echoes Down the Corridor address issues concerning the art, the economics, and the politics of the modern theater. Politics also takes a leading role in On Politics and The Art of Acting. In it, he critiques the performances of American Presidents—Democratic and Republican, contemporary and historical—and their ability to influence their audience: the American public. The substantive and critical writing in Arthur Miller’s nonfiction also finds its way into his fictional works. His novel Focus tackles the issue of anti-Semitism in post WWII Brooklyn, NY, while the short story collection Homely Girl and Other Stories is set in Manhattan and paints a more intimate portrait of the individual’s struggle for identity. In The Crucible, Miller uses the dramatic format to tell the story of seventeenth century Salem Witch Trials as an allegory for twentieth century McCarthyism. The play is a searing commentary on 1950s politics. In an ironic twist, Miller himself was eventually called to testify before the House Committee on Un-American Activities. He was found in contempt for failing to cooperate with congress in divulging names of suspected communists. One might suspect that the contempt was mutual. The quintessential Arthur Miller play, however, is Death of a Salesman. It has been performed some 700 times and in over a dozen languages. The universality of its message about success, failure, and the American Dream breaks through barriers of place and time, much like the main character Willy Loman does as he moves seamlessly between past and present in an attempt to revisit and reconstruct his life and discover where it all went wrong. Arthur Miller has said, “to me the great thing is to write a good play.”* He has certainly done that, and so much more. We've only touched on a few of his numerous, fine works. Truly, he has built a body of literature that spans both genres and generations, and whose structural, aesthetic and intellectual integrity will stand the test of time.